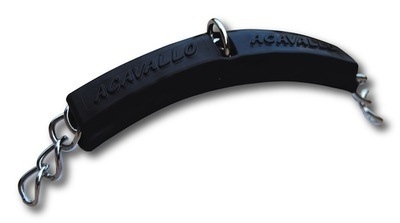 Another innovative product from Acavallo. Ideal for sensitive horses prone to soreness on the jaw. Fits close to the chain and moulds to jaw line without sticking out. Due to the new price stucture from Royal Mail this item would have to go small parcel,hence the postage charge.